You want to add more customers, and you don’t want to waste money, right? From experience, you already know most successes happen when you talk to your buyer personally…. You know you get the best customers when you build a relationship and trust with people first. But, if you’re like most people, you struggle to build trust through your website or email…it’s just too impersonal (or too salesy). So, how do you have a conversation with someone you haven’t met? 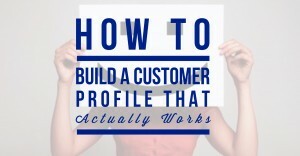 You build a profile of that real person, your ideal customer profile. (This is sometimes called an avatar or a persona). This profile creates a picture of the person you would like to do business with, and then you “talk” to that person. You see, your ideal customer profile is the gateway to having one-on-one conversations with your audience…. …which finally allows you to stop throwing things at the wall to see what sticks. Obviously, I want you to start with a good foundation and then build on it. Knowing that the basics are established….you can extend and push harder to expand your business with less risk. (And, it saves both wasted time and money, and positions you to make more sales….win…win). By focusing on fundamentals, you are applying a “best practice” that applies to top performers in virtually every industry, regardless of their stature. Jack Nickolas, perhaps the greatest golfer of all time, traveled to see his longtime coach at the beginning of every season. They would spend several days working together, and the majority of their time was focused on getting back to basics; grip, stance, and posture. They would literally rebuild Jack’s swing with a focus on fundamentals. This was the best player in the world. He has been playing golf since he was about 5…and yet, he and his coach were obsessed about ensuring that the most basic fundamentals were correct…every single time. Do you have that same obsession about your business fundamentals? 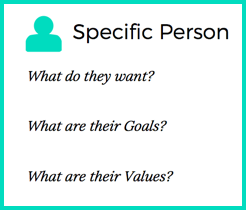 About your ideal client profile? Do you know who you are trying to sell to…specifically? What’s their name? If you begin to think about your ideal customer profile as a real person you will naturally begin to think differently about their journey. Content Marketing: Your blog, articles, videos, etc. that you publish on your website. Paid Traffic (advertising): A powerful tool, if you use the right channels. Your customer profile helps you choose. Products and Services: Different that what you offer now. It’s what your avatar is actually looking for…what they want. (Not necessarily what they need). Copywriting: The messaging and words you’ll use that compel your ideal client to actually buy (without the used car approach). Email Marketing: Simple or complex, email is a powerful way to move the conversation forward with a specific avatar. … and that’s just the basics. …create a product (or service), maybe develop some messaging, hope for some organic traffic to show up to your website, get a little frustrated, run some paid traffic or advertising to it, and then hope that someone buys your product. Sound familiar? This is a common recipe…and it doesn’t usually end well…. While we’re being honest, I can say that outside of the traditional framework of a corporate structure, I have totally fallen into this same pattern….not because of a lack of effort, business smarts, desire, or even a need from my customers. But…because I didn’t focus on the basics. I didn’t focus on the same systems that I used to build reliable products (and services), and COMMUNICATE to my ideal customer in a way that matters to them! For the average person, the web is an extremely broad method of communication. It’s noisy, unfocused, and they find anything. It’s full of Cats, Dogs, and silly news…in other words, it’s a total distraction. For a business owner, the web provides the most powerful weapon that has ever been available to grow your business. It is surgical, precise, and able to be used cleanly….when you talk to ONE person at a time! Think about how hard it is to talk with a total stranger without understanding their interests, motivations, life experiences, language, and more…. Now, translate that to the web where it’s not rude to just walk away…it’s normal. And…even if they look, you have no more than 10 seconds to make an impression and keep their attention. Developing your ideal customer profile provides the grounding for this conversation. It becomes the background for you to connect the people you are trying to attract. Take a minute and picture this…. You have attracted a specific type of person. A person you really understand and know how to talk to, what their pains are, and what they’re really trying to accomplish. You have established such a good connection with your tribe, that you are now able to pick and choose the people that you want to work with. More importantly, you get to pick those people that you do not want to work with. You decrease your stress because you’re enjoying what you do, and now some of the freedom (money or time) is almost in reach. Because you have more clients (or customers) you now get to decide which way to grow your business. Should you increase your prices, hire more staff, take a vacation…. Start by doing one first, and then you can add more. I fully expect that your business will have more than one customer profile or avatar. Remember that you’re talking to one person…Jack, Jill, Eva, etc…. Be as specific as possible. The more specific, the better opportunity to positively impact your business. Go deep, and go beyond the obvious. Jack doesn’t buy because of logic, but due to their emotional connection to you personally. Fill out the Worksheet (it’s free). You will gain tremendous clarity on your Avatar as you complete the worksheet. It needs to be more than theory for you, so take the time and really do it. BEYOND MASTERMIND BONUS TIPS: In each section below, I have highlighted an expert tip from another business owner from a digital marketing mastermind that I’m also a member. I asked for some of the best tips, and these ladies and gents were gracious enough to share! The details you capture by building out your customer profile will make all the difference in your messaging….and you get to decide. A lot of clarity is gained simply by going through this process…. Really…don’t wait. For some our your profiles, you’ll know them very well and this will be easy. For others, you may need to talk or survey customers. If you don’t know, make it a best guess and come back to it as you learn more. 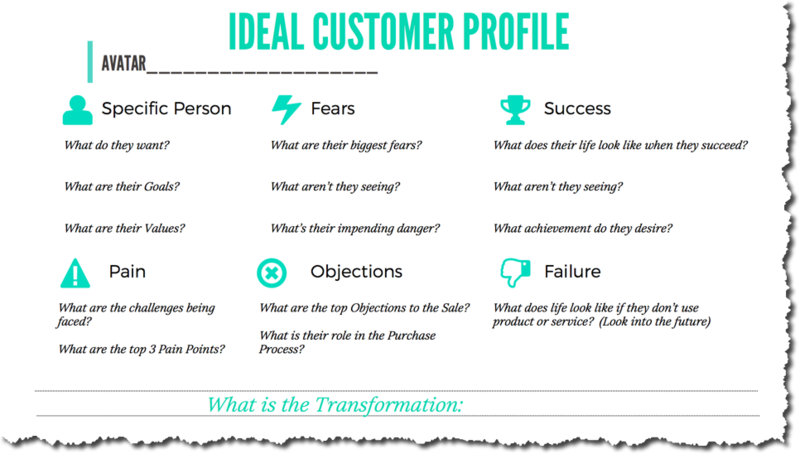 Let’s take a look at each section of the Ideal Customer Profile worksheet…. We begin with a specific person in mind. Statistical information has some value but is overly broad when you’re trying to find your ideal customer. What does Jake want, Jill’s goals, her values? (Getting specific here could lead you to new products and offerings that are aligned with Jill). What’s their gender, age, marital status, children, location, interests and passions, occupation, job title, annual income, education, etc? This will give you a good feel for Jake. This is where most stop, but it’s not enough to have a conversation that really matters. One that hold their attention. We need to go deeper…. Mastermind Tip: For my clients, I always recommend taking their best client to a nice lunch, and letting them fill out their own avatar work. No better way to really get in their head than asking the source. What are the challenges being faced? It is business, or personal…. Do they have relationship issues with their spouse, their children…. What are the things that keep Jake up at night? Is he worried about making payroll, about being at the office too much, about meeting the coming deadline…. What frustrates Jill every day? Are there issues of commitment with the team, spouse support, a lack of respect or acknowledgment by her peers, parents, family, the business community, etc. Mastermind Tip: Forget who you think your avatar is. Who do you WANT to work with? Who is your all time favorite customer? Why did they come and what did you do for them? Now let’s go out and attract all of their awesome “friends”. Now that you’ve written down their pain points, and spent some time there. I need you to go deeper. You need to go beyond the obvious, and try on these emotions. Pain is often day-to-day, it’s near term. 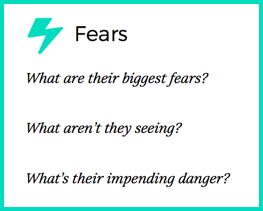 Fear is bigger…. So what scares Jake? What’s bigger than his pain, what scares him that he doesn’t really talk about. These are the unsaid things that are kept in the dark parts of Jake’s mind. While Jill is facing near-term pain, what’s the issue is accelerating towards her? What is the danger that is coming towards Jill while her head is down focused on the near-term pain? What is the issue that is going to really negatively impact Jill? Mastermind Tip: We also ask for Fears, Frustrations, Wants, and Aspirations. They often lead to some good answers. Also, we ask – “If you could eavesdrop on people talking about X (your ideal customer)”, what would they be saying? This also helps people that are auditory based come up with ideas. What are his top Objections? What are the top objections that Jake is going to raise? There are things that your customers will say, and others that they won’t. 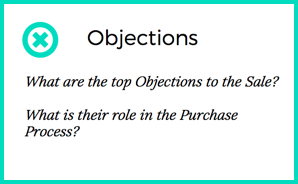 Building the objection will allow out to think about how to address them in your messaging. It’s way to talk (and sell) without being salesy. Is Jill the decision maker, or are there others? Write down the top objections, and come back to these as you gain a better understanding of Jill. Mastermind Tip: I often find customers struggle at first to ‘see’ or perhaps better to articulate their customer avatar. A ‘have you ever’ story can help… Have you ever had to show your grandma how to use her phone? Has she ever forgotten by next week? Followed by, why do you think that might be? What happens when she achieves success? 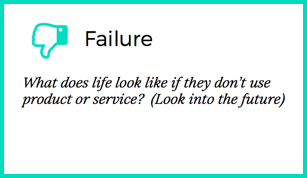 What does Jill’s life look like after she successfully uses your product or service? (Not benefits or the journey, but the destination.) How great will it become…. 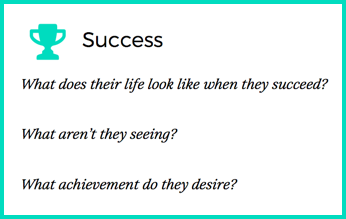 Here are some of the questions that can help you think through success. Paint the picture of what has changed. What pain points have been relieved? Has she overcome some of her challenges? What is she feeling? Is she relaxed, does she have more time, money…a better family situation…. What new opportunities are opened for her? Are there new business opportunities, or family? Is she finally going to be able to take a vacation? What has changed in her life in 5 years (if your product has that kind of impact)? Take your time, and let your imagination go. Remember that you don’t need to answer every one of the questions in each section. I’m giving you food for thought to get you going…. TIP: Here’s a great brainstorming technique. Take a pen and paper, and for 7 minutes write. No matter what…don’t stop writing, just let your mind go and then review it. Keep the pen moving, even if you’re just writing jibberish. Mastermind Tip: I always wonder what kind of dog they would own! It’s really funny — you can sort of predict how your fundraising will go for a group if it’s a breed rescue. Some of them, usually hound and beagle groups, work well in packs and set records. Others get distracted by tennis balls and need constant mini-goals to keep them on target (you know who you are). Then your big Airedale folks will always start bristling and getting in scuffles…. What if he doesn’t buy your product? What would be Jill’s biggest frustration of using this approach, or cost? Are things going to continue to spiral the wrong way? Are Jill’s irritation and frustration going to cascade over into other areas of her life…. How much time lost, what would be the cost, what are some of the lost opportunities? Go into “a day in the life” of Jill. Identify Books, Magazines, Blogs/Websites, Conferences, Experts, anything else that Jake would visit when focused on your product or service. Write these down for each category. (This becomes foundational material for ads and keyword targeting later). Mastermind Tip: People often forget that their “target” is a real person who has a life outside of what you’re selling them. This kind of profiling can include everything from location to generational differences (which all impacts what could motivate them to take action). It’s time to take productive action…now. I have created an actual worksheet to help you out! Download and fill out the WorksSheet. It will be the most impactful 30 minutes you can have in your business! This is 15-30 of the best minutes you can spend on your business! I would love to hear from you! Leave a comment below, and type “I made it”. Let me know what was the most difficult section for to understand and get clear.